Create a collaborative project portfolio management plan in Smartsheet. Project Portfolio Management is the centralized management of all components of a project, from processes and methods to technologies. Projects are prioritized based on their quantitative and qualitative factors, driving efficiency upwards by implementing only the most reliable, profitable, and risk-less projects. We’ve detailed everything there is to know about PPM including a comprehensive overview, an explanation of PPM phases, and the strategic benefits in implementing a project portfolio management tool. Additionally, you’ll find a step-by-step guide detailing how to choose the right PPM tool for your business needs. 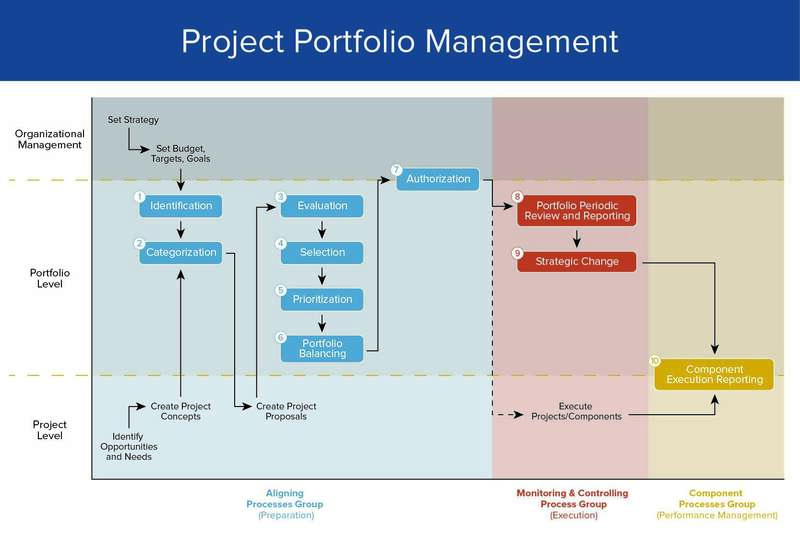 Project Portfolio Management (PPM) is a management strategy that evaluates potential projects and uses that evaluation to prioritize and implement projects. Together, project managers and stakeholders analyze potential projects based on data-driven conclusions that direct decision makers toward the most appropriate and rewarding projects. Both qualitative and quantitative factors go into the assessment of potential projects. The goal of PPM is to increase efficiency by adopting a data-driven process to choose only the most efficient, reward-producing projects. PPM aims at successfully evaluating a project’s possibility for success, along with its underlying risks. This enables a strategic organization of projects that maximizes a business’ efficiency. Even though PPM is a living, continuous process, there is a series of phases that it follows to accurately assess each project or program. These propositions that PPM evaluates are known as components, which can be anything from a business case to a larger project. Identification: List all components managed with PPM, both ongoing and new. Categorization: Group components into their appropriate business groups. Evaluation: Collect data for each component to define value. The evaluation is data-driven, but can be derived from both qualitative and quantitative variables. Selection: Select the most valuable components from the previous phase and create a list. Portfolio Balancing: Order valuable components to create a cohesive and sensible business plan. Authorization: Communicate decisions and gain approval on time, budget, and timelines. Allocate all needed resources for the project. The Monitoring Group (Phases 8-9): These phases involve the reporting and review of the project. During these phases, PPM teams review the processes and modify them as needed. Portfolio Periodic Review and Reporting: Collect and analyze key performance indicators (KPIs). Review KPIs on a periodic, predetermined basis to constantly improve on processes. This is a review of the entire PPM process, not the individual components. Strategic Changes: Analyze and fine-tune your strategic processes as needed, based on your review. The Component Processes (Phase 10): This phase analyzes the performance of the components. Component Execution and Reporting: After the components are complete, examine the performance of each. The relative success of each component will provide feedback on the strength of the overall PPM processes. Minimizing Risk: You are able to mitigate risk before a project is even started because PPM takes all components into consideration. Allowing Budget Alignments: PPM relies on outlining costs and determining realistic spend for all potential projects, meaning your business is well aware of the cost of the project from the get-go. Optimizing Resource Management: All resources needed for a potential project are identified, helping you weigh whether or not your company can handle to take on the project. Encouraging Collaborative Decision Making: PPM encourages a collaborative culture among PPM experts, project managers, and program managers. As a result of PPM’s data-driven decision making tactics, all team members can collaborate without relying on personal preferences or opinions. Providing Project Value to Stakeholders: Stakeholders and executives gain visibility into the prioritizing of certain projects over others. Increasing Project Success Rate: PPM enables the ranking and prioritization of projects to help maximize the success of each project, along with the organization as a whole. This reliable system leaves very little room for risk, delay, or failure to complete projects. How do you plan to use the tool? What features and functions are important to you? Is compatibility with other programs a key requirement? Is your organization using a certain PM methodology, such as Scrum or Agile? If so, will the tool work in that environment? Is workflow an important consideration? If the teams are distributed in multiple locations, does the tool provide proper collaboration capabilities? Does the tool provide different levels of access and information for leaders vs. project resources? After assessing these questions and investigating organizational fit and cost, determine how a tool should (and could) suit your needs, especially over time.